Literally no-one watched the last match of League of Legends’ riveting five-game regional Worlds qualifiers in China after the crowd was sent home for state curfew. Read more about the best LoL players you can see at Worlds. Well, we say no-one like Twitch and DouYu don’t exist, but still it’s a bit weird for the deciding game in such a high-profile match to play out to an entirely empty arena. Team World Elite finally triumphed over Snake eSports to claim the spot in the regional finals today against I May, though failed to repeate their success allowing the LPL newcomers to advance to this year’s World Championship. Yesterday’s broadcast ran late as the final best-of-five was the second Snake eSports had forced to a fifth round, bringing them to a total of 10 hours playtime throughout the day. 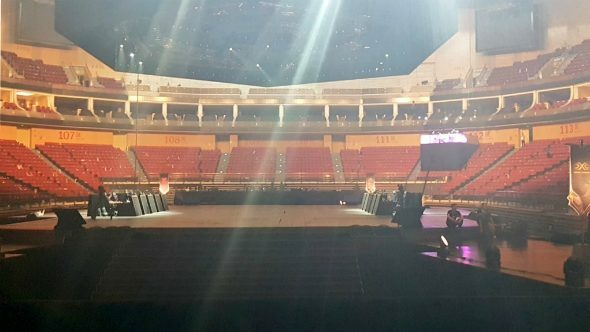 The qualifiers, being held in the Guanzhou International Sports Arena, were subject to Chinese provincial law which prevents large gatherings after 10:20pm local time in the southernmost region of mainland China.